If not the Rajapaksas, their supporters are certainly perturbed by the New York Times (NYT) article on wrongdoing regarding the China Harbour Engineering Company, which is one of China’s largest state-owned enterprises. The NYT piece has since been dismissed by the Rajapaksas, their spokespersons and the Chinese Embassy in Colombo. The NYT story emphasizes two concerns. First, that Rajapaksa was corrupt, and secondly, it was all a part of China’s strategy to have a port in the Indian Ocean, a key element of its ‘string of pearls’ strategy to control the seas. First let’s discuss these concerns and the self-righteousness of that newspaper. If ‘bribe’ is an issue, well then the NYT could have also written about the USA pumping bucks into an election campaign that would cough up a plaint president in Sri Lanka. Former Secretary of State John Kerry unapologetically acknowledged that the US did fund that campaign. It is also known that the State Department routinely funds agents and agencies in Colombo engaged in political activities whose objectives coincide with those of the USA. Do we even need to go into how the USA has helped install dictators, military juntas and other ‘friends’ in countries all over the world? The NYT never had a problem with such intervention. So the issue is not bribery but bribing those not in the good books of the USA, if indeed there was a bribe here. We need to keep in mind that companies do fund election campaigns of parties and politicians and that typically the bucks are sent to all takers. These are essentially investments, which is why legislation on campaign finance is so necessary and so regularly ‘back-burnered’ by politicians, the current lot included. Some funders get contracts, some get ports (the NYT would have us believe). The NYT hints that the Chinese interest was strategic more than commercial. If that be the case, then this government and especially Prime Minister Ranil Wickremesinghe is on the same page as Mahinda Rajapaksa with respect to ‘going along’ with China’s interest. One might say that Ranil’s collusion was more timid since Mahinda at least got some bucks out of the deal. No give and take, but just give. That is, IF the UNP directly or indirectly did not benefit from ‘the principle of wide consultation, joint contribution and shared benefits’. How many ‘cough up’ pieces have the NYT written over the years, one has to ask. The NYT talks about a ‘debt trap’ as though it’s a Chinese invention. Well, that’s been part of the Bretten Woods doctrine for decades, and the USA has been the key mover and shaker in the ‘debt-for-coughing-up-whatever’ strategy. To the peoples in whose names such coughing-up happens, the identity of the beneficiary is hardly important. Enslavement is not fun and the name of the slave-master is of little consequence. Now let’s get to the drama. A quick sweep of the chronology would help paint the true picture of this government’s clumsiness, this time dripping into media practice. The Daily News reported in July, 2015 that the CID was investigating a case where the China Harbour Engineering Company had given Rs. 149 million to the former President’s election campaign. Again quoting CID sources, the Daily News said money had been obtained from HTPD Phase 02 013359190/19 account of the company, maintained at Standard Chartered Bank, Colombo. A person by the name of V.H.R.H. Francisco had obtained Rs. 89 million on December 12, 2014 and January 07, 2015 in three cheques. What’s this ‘active internal government investigation’? The only investigation anyone knows about is the one referred to in the Daily News story. Probably the same source, we can presume. Probably and not possibly, considering that among the contributors to the NYT article is a journalist who held a high post in the Associated Newspapers of Ceylon Ltd (ANCL aka Lake House) which publishes the Daily News. The journalist was recently appointed as the editor of the Sunday Observer. The journalists strong political loyalties to the current regime and strong antipathy to the previous are well known. That’s not important here. It’s the connection with the newspaper that ran the first story that matters. That’s what makes the NYT a re-hash and a cheap one at that. The excitement of the Rajpakasa loyalists now and their silence back in 2015 is strange. Are they indirectly saying that they are more effected by a NYT story than a Daily News story? Is it because the word of Lake House is not taken seriously by the voters anyway? Was it that back then, just after political fortunes hit an unexpected low, they were too down-and-out to respond? We don’t know. What’s strange is that once the NYT’s rehashed story ‘broke’ it was not only the Rajapaksa loyalists who got excited. The Government went to town, ridiculously implying that because the NYT said it, it is serious, notwithstanding the fact that the Daily News had said virtually the same thing three years before! Then we have Prime Minister Ranil Wickremesinghe calling for a CID investigation based on the NYT story. So essentially, he’s asking the CID to investigate something the CID had already investigated. What happened to that investigation, though? What did the CID conclude? Did it not conclude anything of significance or did it find things that could embarrass certain individuals in the new regime? If all this was not enough, we have another Act in the drama, that concerning ‘naming’ journalists. The NYT has sought to tutor the Rajapaksas about how to respond to media stories. 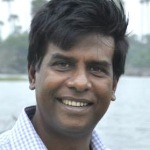 The international editor of the NYT Michael Slackman said the politicians’ actions appears intended to silence critics and curb press freedoms and ultimately deprive Sri Lankans of information in the public interest.’ They’ve said that instead of taking issue with the relevant journalists, concerns should be addressed to the editors of the particular media institutions. These sentiments have been echoed by the Foreign Correspondents’ Association (FCA) in Colombo. First of all, the only response that can directly be linked to the political group(s) that the Rajapaksas belong to was a media conference where two members of parliament (Kanchana Wijesekera and Dullas Alahapperuma) mentioned journalists who had contributed to the NYT story by name and called Minister Mangala Samaraweera to explain their alleged longtime loyalties to him. That’s a strange request. Loyalty is not at issue here. What’s at issue is the re-hash and the clumsiness of the entire process, starting from July 2015, both by the relevant media personnel and the government. One of those named, anyway, is a stringer for the NYT and in the case of this story only helped put the NYT correspondent in touch with relevant informants. Both Wijesekera and Alahapperuma seem to have got the wrong end of the stick, but to say, as the FCA has, that they ‘vilified the authors of the report without utilizing established channels to redress any grievance’ is downright silly. Journalists have bylines. They take responsibility for the content they produce. They are morally and professionally bound to be ready for response. Neither Wijesekera nor Alahapperuma threatened anybody. That they were barking up the wrong tree is a different matter; for example, the spouse of one of the journalist, the ups and downs of the person’s professional life has nothing to do with either the journalist or the NYT or the Daily News report. That said, some of the backers of the previous regime have in fact launched a nasty and threatening campaign against the said journalists. The Committee to Protect Journalists (CPJ) have also overreacted. 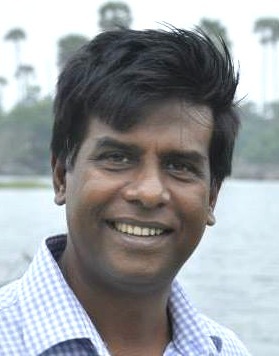 They state, ‘politicians have every right to dispute the findings of a news report, but publicly singling out Dharisha Bastians and Arthur Wamanan is a worrisome development in a country noted for attacks on journalists and unsolved journalist murders.’ What the said politicians did was to name the journalists named in the NYT article. It’s not that there were dozens of journalists contributing to the article and that only these two were ‘singled out’. Interestingly, Mangala Samaraweera also joined the howling-in-horror circus, condemning ‘virulent personal attacks by individuals linked to the joint opposition and the Sri Lanka Podujana Peramuna (SLPP) in a bid to intimidate journalists who worked on the NYT (New York Times) report, attacking them for doing their job.’ Virulent personal attacks? Really? ‘In a bid to intimidate?’ Oh well! Let’s talk about virulent personal attacks and bids to intimidate. On the same day that Samaraweera issued this statement, his it was revealed that his Coordinating Secretary Thusitha Haloluwa has launched as scathing attack on a journalist who had exposed financial irregularity in a state institution running into millions of rupees. The fact was exposed by SLVlog and was picked up by News 1st only three days ago. Is Samaraweera not bothered by the virulence and the intimidation? The FCA is concerned about all journalists and apparently issues statements relevant to foreign correspondents or correspondents working for foreign media institutions. What does the CPJ have to say about Haloluwa, though? Samaraweera would also remember how in February 2016, Prime Minister Ranil Wickremesinghe launched a virulent and intimidating attack on Daily Mirror (naming its editor) and Derana. So Wickremesinghe thinks it’s up to him to fire journalists who don’t toe his line. That’s not the first time Wickremesinghe has launched virulent and intimidating attacks on the media. The FCA can remain silent. How about the CPJ? How about Samaraweera himself? The point is, are we supposed to talk about corruption, debt traps, coughing-up, media ethics, media-integrity, protection of journalists and such across the board, or are were supposed to be selective? The NYT, CPJ and Mangala Samaraweera seem to think ‘selective is best’. Well, that’s what the Rajapaksas were all about, weren’t they? The entire NYT story, what preceded it and what followed it, far more than ‘exposing’ the previous regime, has shown that this government, its loyalists and the journalists it uses, are morally corrupt, professionally inept and are two-tongued. As for the NYT, let’s not even go there for it would be such a waste of time! freelance – Hard to beleive! nimal fernando – Malinda is a freebie person! Anything free is his speciality, including a free laptop! This news item was first published by Daily News in July, 2015, almost 3 years ago. So, all they are doing is regurgitating the same information 3 years later in a different(foreign) print media. As for the 2 journalists, they were identified by the NYT. The US admitted that they funded the campaign of Maithripala. So, the bribing is going on with everyone from both sides. As the writer said, wonder what Maithri and Ranil got from the Chinese for playing ball. Hey, US did not finance Maithripala’s election. For heavens sake please stop spreading b/s stories. Your statement shows either you are stupid or a henchman of raijapaksas like the guy who wrote this article. Who said it was reputed ? Only you? All have agendas! Are you so weak and boneless not to tolerate even a logical criticism against an US newspaper that is criticized by non other than the president of USA? The integrity of NYT is questionable.. It has played dirty in matters of partisan interest. Sure Jow Perera, may I ask whether you have heard of the NYT journalist Judith Miller who wrote exclusives on weapons of mass destruction? Just google it will you. couldn’t have said it better Malinda…. To say the New York Times doesn’t write about U.S foreign policy machinations, its meddling in other countries’ political developments including elections, its clandestine, covert operations all over the world, the CIA coups and assassinations – is disingenuous at best and outright lying at worst. Even a cursory familiarity with the NY Times will reveal that one of the main pillars of its worldwide reputation is its investigative journalism exposing precisely these kinds of American interventions and sabotage in other countries. In fact over the years the NY Times has been the chief bane of the State Department, CIA, NSA, neocons, and all those who believe the US should rule the world. MR pawned the country to the Chinese. Period. Either he was stupid or benefited or both. The Chinese can be found in all the troubled countries, particularly struggling third world countries with dictatorships, providing ‘aid’ but not without their pound of flesh. In business, the Chinese are masters at the game. Some years ago, when China desperately wanted a foothold in the International car industry ( they had been ‘reverse engineering’ until then, blatantly copying others’ designs), bought the British car manufacturer, Rover, for a song, lock, stock & barrel, after lavishly entertaining the Rover Directors in China. The poor workers of Rover were made redundant & even lost their pension fund but the 5 Rover Directors (‘the famous five’) were able to retire abroad with a few million £s in their bank. Despite the efforts of the British Govt., Trade Unions & the SMMT (Society of Motor Manufacturers & Traders), there was no evidence of irregularity, apart from the ‘stupidity’ of the Rover negotiators. sound familiar? The NY news might have unleashed the corruption/impunity bane but we are left to have to choose between two baddies. As I will always say, Malinda is a lovely poet – but a lousy political analyst. His class of pro rajapakse journalism has always been deplorable, despicable. Whatever this may mean to Malinda and his colombo coterie of bashers – nowhere does this statement say that they have funded “elections”. Nowhere does it state how much, and for what, – was specifically given to Sri Lanka. IF China Harbour paid $7.6M for MR’s election campaign then you can be sure that this was slipped in somewhere into the contract. And that means the people of SL will be paying it back. Thats the difference. This is similar to the Rs. 600M stolen from the TRC for Silly Redi and the unpaid Rs.142M owed to the SLTB for transporting people to his election rallies, unpaid advts for state TV and Newspapers and countless other daylight robberies. All payable by the people. Malleable Malinda’s warped senses can never focus on this. Neither has he ever touched upon the filthy daily fake news dished out then by Lake House, ITN, Rupavahini,.. while he was the editor of a newspaper. This unmentionable should stick to the fiction that wins him awards. As a victim of of his accusations that I had received money from Great Britain, allegedly on the basis of information provided him by some (now dead) woman, NOTHING would surprise me. That is only the tip of the iceberg of viciousness that this man rides and one can expect even more from him with the prospect of his patrons returning to power. My take on this is that the difference between episodes (China Funding MR and US pumping funds for MS) if it is true is that the former is part of a loan given by China to Sri Lanka at 6.3% interest to the government of Sri Lanka, which the Sri Lankan Taxpayer citizens have to REPAY and the latter is not. Fool voters. NYT is a propaganda tool of the seedy US power brokers. Did not NYT support the war against Iraq on the grounds that Iraq possessed WMDs? Says a lot about the quality of their research and political independence. It was Iraq in 2003 and now China, for China becoming wealthy and her ability to surpass US, UK, France combined to launch mega projects and, in particular the One Belt One Road initiative. Those who say whatever NYT writes is to believed need to have another look at what its masters the US power brokers have done in Iraq, Syria, Afghanistan. Sri Lanka has no better friend than China. We’ll need China given our close proximity to the back-stabber bully. Rajapaksa’s & their spokesperson and Chinese Embassy in Colombo world leading paragons of truth & honesty who in the world can ever doubt these incredible sources of honesty shame on NYT. Nothing to see ha! MS. So can we now exonerate Arajuna Mahendran remember he dismissed all claims against him. And I hear Aloysius will do the same. If the allegations are wrong, MR should sue the newspaper, and if he is not doing that, we all know what it means, guilty as charged. The corruption ‘allegations’ against this MR & clan is a lengthy list. Tsunami robbery, petroleum corporation hedging, Mihin air & Air Lanka mismanagement, ‘sil redi” case for which Weeratunga was jailed, Avant-Gard scam, Mig jet scam, tender favourations without abiding by government procurement guidelines, offshore bank accounts mentioned in the Panama papers, murder allegations, are some of the major ones (yet to be investigated and proven with ”fact”). In addition to these corrupt activities, his family members and goons like Wimal, Mahindananda, “Raththaran” Rohitha, “Siriliya account scam of his wife, “Daisy Achchi” land case of son, Malwana house and Matara land robbery of Basil are some that has made headlines. No other politician has a corrupt record like this. But yet idiotic voters, especially from villages want to bring this fellow back. UNP and SLFP should expose his corrupt activities to ignorant voters but their lack of communication, management and transparency within themselves & to public in building and understanding a collective goal regardless of what said in 2015, has brought a truly sad state of affairs to the country were public is completely confused with distrust and anger. Criminals always dismiss their crimes. Those who paid by Criminals also dismiss their crime. Why cannot the super detectives for NYT come out with details that the ‘culprits’ cannot deny? What we have is a rehash of a two years old story which got nowhere. Much of the stuff on Hambantoa etc ignore the history of the projects. I do not rule out the possibility of Chinese meddling, but there is a need here to prove the charges. Surely you are not suggesting that what appeared in NYT are untruths. or are you? Yes, The NYT ‘revelations’ brought out more skeletons. What worries us, the silent majority, is that corruption/nepotism/impunity has reached mega level and is creeping towards giga. It is even more worrying to find that this is no longer unacceptable. This will not an issue at elections but language/religion-divide will be circulated. To translate from the Sinhala, “They should put gold in your mouth,” for the simple truth you have stated. Sri Lanka is an unfolding tragedy, nothing less. The expression on the face of RW speaks chapters: Utter disdain for all but his own. malinda,please keep it short.The first half was good.After that i did not continue to read.If you write such long articles i will post to you a copy of “open words are for love-letting”.Usually this works when i threaten people with this poem but in your case i don’t know, you look a stubborn type. Malinda – are you intellectually capable of speaking to the point? Read your own idiotic analysis. Every single rebuttal of yours is a deflection – not once do you address the substantive bribery issue head on. You’re surely not stupid enough not to see it yourself – so clearly this must be deliberate. Shame on you. Another idiot amongst a sea of Sri Lankan intellectuals.